On Sale Now! Free Shipping Included! 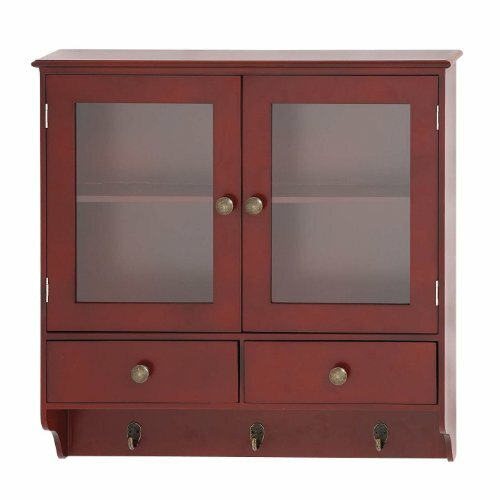 Save 6% on the Benzara The Bright Wood Wall Cabinet with Hook by Benzara at Momiji Studios. MPN: 62645. Hurry! Limited time offer. Offer valid only while supplies last. Are you a busy man? Do you get a lot of mail which you inevitable end up misplacing? Or are you just someone who wants to organize his paperwork? Are you a busy man? Do you get a lot of mail which you inevitable end up misplacing? Or are you just someone who wants to organize his paperwork? Well, what you seriously need is the wood shelf. This shelf has 25 compartments to keep all you stuff in. So you can organize you mails letter wise; or you can keep your paper work subject wise. Indeed, the uses of this wood shelf are many and varied.